In the middle of the nineteenth century, an Abbe of the Roman church called Alphonse Louis Constant translated his name into the Hebrew form of Eliphas Levi Zahed. Today he is known simply as Eliphas Levi. This man was a great mystical scholar, a great Kabbalist, as well as a philosopher and an artist. 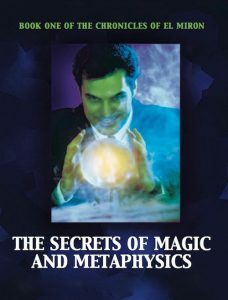 Levi attempted to produce a complete treatise on Magic, dividing his subject into two parts dealing with theory and practice. 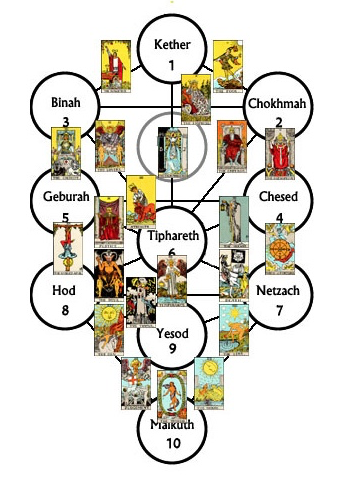 He came to the conclusion that the Tarot was actually a pictorial form of the Kabbalistic Tree of Life, which is the basis for the whole Kabbalah. So Tarot could be seen as a form of Initiation into the mysteries. The Kabbalah teaches that our universe evolved organically and sequentially from the formless void or the Great Unknowable Source into matter. The information contained in the Kabbalah deals with the nature of God; the Sephiroth, or divine emanations deal with angels and man. God is known as Ain Soph and fills the entire universe. As He is infinite, the mind of man cannot conceive Him. Mind cannot perceive something that created it, because mind is only part of it, not the whole. In a certain sense, God is perceived as being non-existent. To validate His existence, God became active and creative, gathered primal energy around Himself and projected the ten Sephiroth or divine ideas. The numbers one to ten are Kabbalistic cardinal numbers corresponding to the original divine ideas by which the invisible and visible world was created. This is a simple diagram composed of the ten spheres known as the Sephiroth and 22 connecting lines called Paths. The Sephiroth and the Paths together are commonly called “The thirty two Paths of Wisdom.” At this point, we will only touch briefly on some of this information, and will be expanded at a later date. 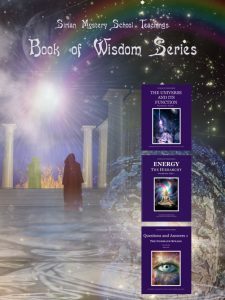 For this particular study of the Tarot, we will look at the information in a slightly different way to give a better understanding. Kether, Chokmah and Binah are abstract concepts beyond our human comprehension and relate to the Supreme Mysteries of the Spirit or the Archetypal World. Chesed, Geburah and Tiphareth pertain to the Higher Self or the structure of the individuality, and relate to the Greater Mysteries or the Creative World. Netzach, Hod and Yesod pertain to the structure of the personality or the Lesser Mysteries or the Formative World. Malkuth relates to the physical body or the Active World. 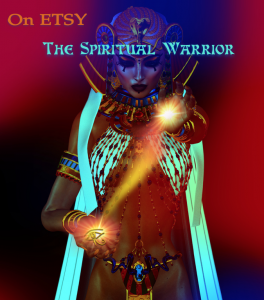 From the unmanifest, the Ain Soph, which is symbolized by a closed eye, emerged number one, called KETHER, the Crown, which is symbolized by an open eye. Symbolically, as long as this eye remains open, the universe is preserved, when it shuts, it returns into a state of non-being or pralaya. Number one represents the highest form and everything that is made of it, that is God, the manifested Light, divine white brilliance, the light which lighteth the universe and beside which the light of mortals is but darkness. According to the Bible, number one is identified with the first day of creation when God said “Let there be Light”. The colour relating to Kether is Pure White Brilliance. It is androgynous; microcosmically it is the Monad or the Atman. In ancient times, in the Hebrew Kabbalah, whenever God was to be identified, this was done by number one. Number one has been symbolized by a point or a dot, which represents the symbol of divine unification, ie becoming one with God. It should always be borne in mind that number one means the highest unity, the highest wisdom. While Kether is symbolised by the point or tree of life, Bible, God, the Source highest wisdomdot, it is not static. In the material world it represents the first swirling around the point, self contained but in motion. As we move through various explanations, you will begin to see the correspondence between Tarot and Kabbalah.